I have some friends and acquaintances who are suffering from cancer. Some have gone and some are still struggling to live the good life they deserve. It is always puzzling to me how people get cancer. I would always wonder what if I already have it but still not aware that I have it. It is dangerous to think of the possibility because study would say that cancer strikes at the most unexpected time and place. There would be cancer of which the causes are evident, like something related to smoking, drinking, stress, environment, virus, etc. But there are cancers that hit even the healthiest, liveliest and nicest individual. Nobody can really tell. Perhaps only God knows the reasons behind every person's story. One pastor in our church even said in one Sunday service about 4 years ago, "The reason why you are sick is not because you have committed a sin or did something wrong." I held on to that statement because some people believe that committing a sin equals sickness/suffering. It is also heartbreaking to see kids, in their innocence and at a very young age, to be stricken with cancer. I would always shed tears whenever a story on this subject would be featured on TV. I would think that life is sometimes unfair. They have not enjoyed life to the fullest and now, their days are numbered. I just wish that there would be a definite cure for all kinds of illnesses, and that treatments would be very affordable for everyone. 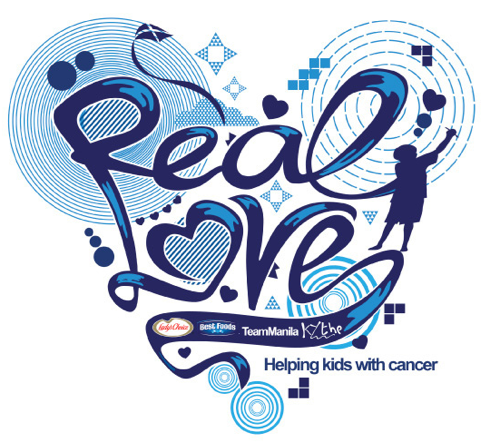 How can we show love and care to kids with cancer? 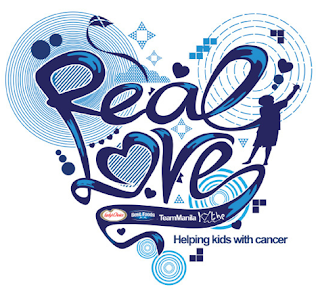 You can do your part by clicking LIKE on the Real Love Campaign's Facebook Page. For every LIKE the page receives equals 1 sandwich to be given to the kids. The target is to hit 10,000 LIKEs so that 10,000 sandwiches can be prepared by Unilever Foodsolutions. This Real Love Campaign is being supported by Kythe Foundation. Its vision is to improve the quality of life of pediatric patients by uplifting kids' spirits and empowering hope in this children and their families. Kythe Foundation also specializes in promoting optimum growth, development and helping the kids cope with the challenge of hospitalization. Unilever Foodsolutions also partnered with Team Manila to come up with a specially designed, limited-edition shirt which will be available in Team Manila outlets in Rockwell, SM Mall of Asia, Trinoma and online through its website, www.teammanilalifestyle.com. 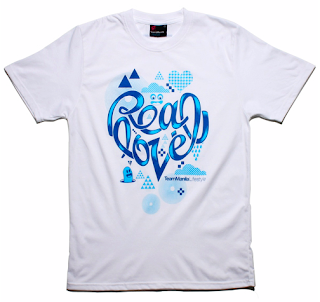 You can check out the Real Love T-shirt for Men, and Real Love T-shirt for Women. Unilever Foodsolutions shares the experience of giving back to the public as with the retail price of 550 pesos, part of the proceeds of the sale of each shirt will go directly to Kythe Foundation and its operations for cancer-stricken kids. Let's support this campaign together! (Contest Duration: October 4-10, 2010 ----> extended till Oct. 17. Deadline: 11:59 pm of October 17). Send in your answers through a photo/blog post using any blog platform or share Real Love page via FB, etc., then post the link here under Comments. Or you can also submit your answer as a comment to this blog post. Best answer wins one (1) Real Love shirt! Please include your name, email and other contact info (if any). The winner will get a Kythe shirt. Winners must be in the Philippines at the time of this contest promo. This contest campaign has been endorsed by Ms. Janette Toral of DigitalFilipino.com. You can read her post on this campiagn here: Showing Real Love for Children with Cancer. If you are moved by God to help these children of Kythe Foundation, you can help by donating any amount your heart feels. 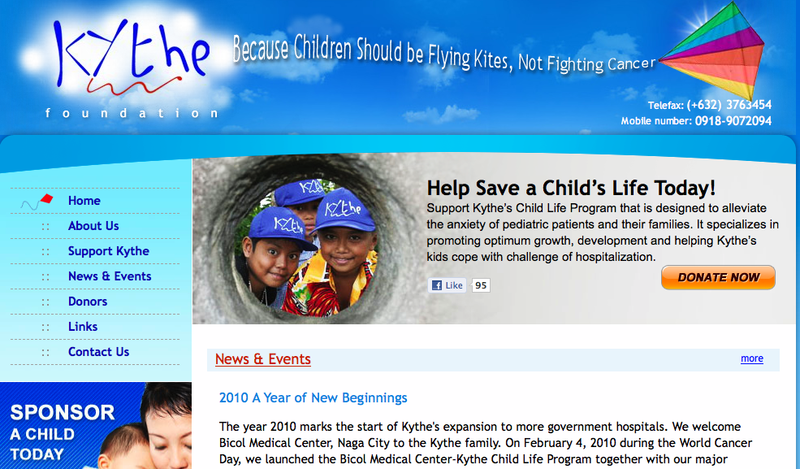 Because children should be flying kites, not fighting cancer! 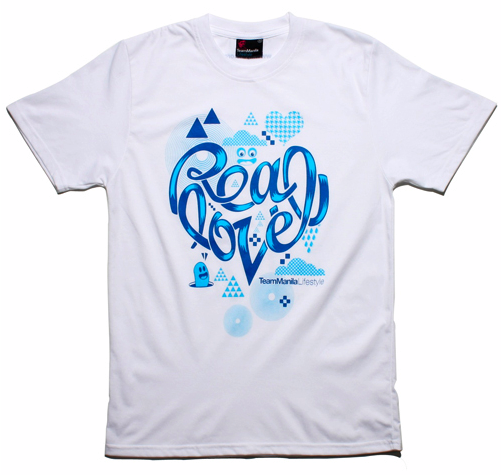 Congratulations to Emiliana Sison for winning this cute Real Love t-shirt! 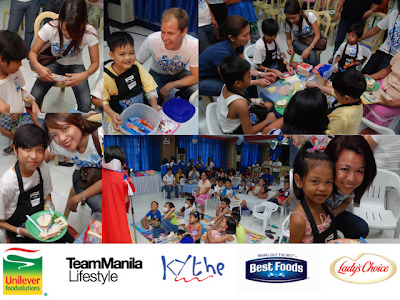 I will share my love to the kids of Kythe by being an inspiration to them and other people as well. I will share the Real Love campaign to everyone, praying that more donors and volunteers will open themselves to this cause. I would be a PhP100 Miracle Worker! I would also take time to listen to the kids’ hearts and hold their hands. I’ll read with them stories filled with acceptance, hope and happy endings. All I have is a camera and could capture smiles, and hopes of this little children loved by God. Also, my teaching skills will be a good helping hand too. keep on spreading the love guys! keep on spreading the real love campaign! I will share my love to the kids of Kythe by increasing cancer awareness among my friends, peers and relatives. I believe that knowing cancer symptons, risk factors, undergoing early screening treatment will save lives. I will share my love to the kids of Kythe by giving them what they need, TIME. This is the best opportunity to know more about these kids and spend quality time with them. It can be a simple story telling or a day out at the mall, not that expensive but I think they will like the experience since these kids don’t deserve the hardship they endure at a very young age. It was kind of difficult to choose the winner because submitted entries are really good. And I think some have won already in this same Real Love campaign in other bloggers' contest.